In a post on The Netflix Blog that went up Sunday night, the company's CEO, Reed Hastings, announced that Netflix would split its DVD-by-mail service and its streaming-video service into two companies. 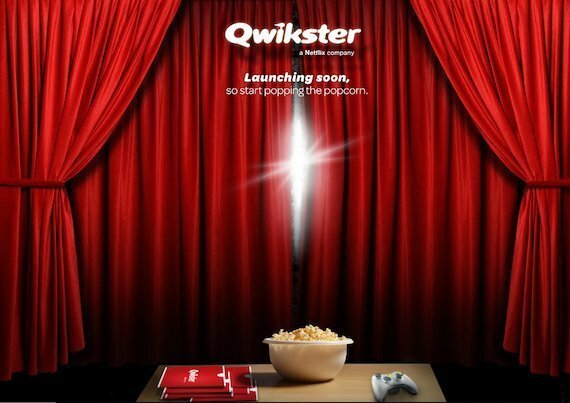 The new DVD-only company, called "Qwikster," will be completely separate from the streaming business. Hastings also expressed contrition for the way the company rolled out its recent price hike, which alienated many customers. Hastings wrote: "It is clear from the feedback over the past two months that many members felt we lacked respect and humility in the way we announced the separation of DVD and streaming, and the price changes. That was certainly not our intent, and I offer my sincere apology." He went on to announce that Qwikster -- the name is chosen "because it refers to quick delivery" -- is becoming its own entity because " "we realized that streaming and DVD by mail are becoming two quite different businesses, with very different cost structures, different benefits that need to be marketed differently, and we need to let each grow and operate independently." The move comes on the heels of an overwhelmingly negative reaction to Netflix's price hike in July. This week, the company announced it had lost many more subscribers than expected, and its stock price fell accordingly. Early reaction to the surprise move was mixed. Twitter users did not warm to the name "Qwikster," but Erick Schnonfeld at TechCrunch gave Hastings the thumbs up. "You’ve got to give him credit for moving fast in the direction where he thinks the greatest opportunity lies. "Who knows how investors will react in the morning?" Schonfeld wrote. "But it is the right move." Below, see Hastings' apology video with new Qwikster CEO Andy Rendich, as well as a screenshot from Qwikster.com.